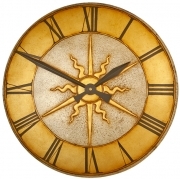 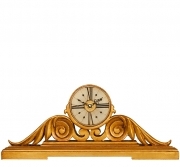 If you are looking to buy a handmade Classical wall clock or mantle that has all the aesthetic qualities of proportion, elegance and artistic beauty that are associated with the classical style and sympathetically finished in a traditional, true to period, gold or silver gilt finish then I think you'll appreciate these. 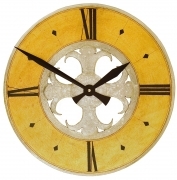 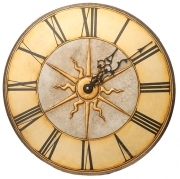 Click on any of the mantel or pendulum wall clocks that make up my Classical Clocks below or if you would like to consider alternative styles then you might like to visit my Gothic, Art Deco or Contemporary Clock Collections. 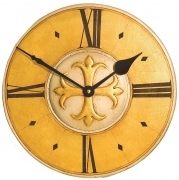 I find the different wall or mantel clocks that make up my collection of Classical Clocks lend themselves to a specific paint or gilded finish but if you'd prefer them in a different finish then as hand made decorative clocks I can gild or paint them in the finish of your choice. 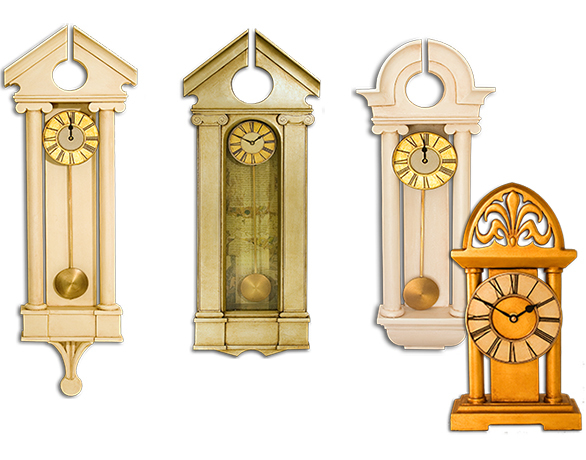 As small or large decorative wall or mantel clocks, my classical clocks make beautiful focal points in a room and with the quality of their hand made construction and finish; I am proud to say they are second to none and with a bit of care they will be the antiques of the future.